As more and more companies delve into developing smart systems, they are quickly finding that competitive differentiation shifts away from unique, vertically focused product features. The new focus will be on how the product is actually used -- how it fosters interactions between and among users in a networked context. Does anyone really understand how fast the world is changing? Just think about the fact that almost all of the data created to date on earth has never been analyzed and more than half of all the data created from physical or operational systems today loses any value that can derived through analysis in less than a single second. Today we are creating data at 2X the rate we are building and deploying bandwidth and if anyone is wondering how fast we are moving towards truly distributed systems and intelligence, well forecasters are predicting that in just a few more years there will be more processing power in smart phones than in all the servers and storage devices in data centers on the earth today. As networks have invaded the “physical” world, system and solution designers are seeing the new values that come from the growing and abundant interactions between sensors, machines, systems and people. Electronic, mechanical and other related systems that used to have unique physical interfaces and components are now becoming standardized. Efficient support of products and equipment is only the first benefit of this trend. The convergence of collaborative systems and machine communications will enable entirely new modes of services delivery and customer interactions. This implies a total paradigm shift. The depth of this shift has begun to suggest itself, but it is by no means accomplished. The implications are enormous. No product development organization will be able to ignore these forces, nor will their suppliers. Product and service design will increasingly be influenced by the use of common components and subsystems. Vertically defined, stand-alone products and application markets will become part of a larger “horizontal” set of standards for hardware, software and communications. As more and more companies delve into developing smart systems, they are quickly finding that competitive differentiation shifts away from unique, vertically focused product features. The new focus will be on how the product is actually used — how it fosters interactions between and among users in a networked context. All of these trends lead us to the simple question: How well-prepared are manufacturers for the advent of smart systems and services, a.k.a. the Internet of Things? 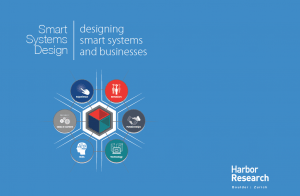 Do we even know how to design smart systems? We think many companies are finding this to be a real challenge. For all the talk today about going “digital” and with all the silicon-based “intelligence” permeating every aspect our lives, we still live in a brutally dumb world. Has Anyone Seen a Real True-To-Life Knowledge-Based Organization? We believe that in most companies there is too much disconnection between people, functions, processes and knowledge to design and create organic smart systems growth opportunities. Large organizations have many rules and policies that often seem completely disconnected. They have been creating language, processes and systems that seem to be a triumph of technique over originality. General managers, like cost accountants, claim to have developed uniform approaches for just about everything — including “organic” growth. 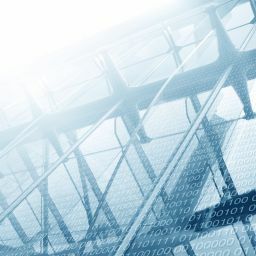 In our view, mounting evidence suggests that most of the existing approaches to creating new growth businesses are of little value when it comes to emergent and disruptive opportunities like the Internet of Things. These days all large manufacturers have a so-called “business system” which seems to have severely diminished managers’ ability to focus on new smart systems opportunities, take risks or do just about anything creative. These robotic processes lead organizations further and further away from any kind of innovation and blur management’s vision. Most knowledge comes from human experience and expertise; but today, knowledge and expertise largely resides in functional silos dispersed across organizations. Acting singularly, those siloed systems are constrained by the resources under their control. Legacy processes and habits inhibit any natural ability to communicate and collaborate on solving big problems or creating new solutions. In many companies, lean practices have been applied so aggressively that people are simply consumed by “running the business.” They fail to harness the collective intelligence available throughout the company and its networks; thus they fail to develop creative products, systems and solutions. This evolution reminds us of a story by H. G. Wells. The Country of the Blind concerns a group of people living in total isolation in a valley of the Andes Mountains. For an unknown reason, the inhabitants of the valley have been congenitally blind for two or three generations. The people in the valley have re-evaluated much of the information handed down through oral tradition; new impressions have been forged based on subjective experience. For example, they have decided there is no difference between angels and birds. The people have reasoned that they can hear both birds and angels sing, and they can feel the wings of both brush their faces — so there must be no difference. The story depicts a group of people who, as long as they remain in isolation, can rationalize any type of behavior — no matter how absurd the behavior appears to an outsider. Isolation and blindness lead the inhabitants further and further away from the truth. We believe existing schemas, institutions and approaches for new growth development are, for the most part, broken. In the Internet of Things arena, the complexity of interdependent relationships required for new growth ventures only compounds the challenges. In this environment, growth depends on interacting in new and creative ways. Linking functions by breaking down the barriers to communication is the first step, but it can’t stop there. The key is building truly collaborative networks. So, Where to Now – Heaven or Hell? For those brave enough to have invested in smart systems and services opportunities, progress has been slow to come. 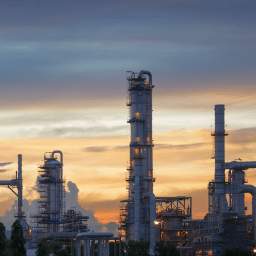 In many ways, most of the larger diversified industrials have not gone beyond “first base” in capitalizing on the value of connected smart systems and services. We believe they have focused too much attention on captive OEM services. While many manufacturers have begun to build remote services programs, they are mostly directed at productivity and efficiency. These remote services programs are focused inwardly; they’re not focused on creating new customer values. Based on Harbor Research analysis, many of these systems barely utilize the data they collect. While many players are talking a “Big Data” game, few are realizing any significant new value from machine data and analytics. To date, the remote services opportunity has been comprised of monitoring applications and related tracking and location services — what we like to call the “alerts and alarms” syndrome. Manufacturers are stalled, wondering how to get to a future focused on collaboration between devices, data, people and systems. Given the apparent speed that corporate leadership can absorb new management theories maybe this isn’t a real problem; just a work in progress. With all the fads and fashion of management concepts, from empowerment to re-engineering to innovation and, more recently design thinking, it’s a wonder we haven’t met the challenge of Smart Systems Design by now. Just observe how many consulting firms have acquired design firms in the last three years; help is surely on the way. Compared to what is evolving in the marketplace – design thinking or not – the solutions we are describing here will have far less managerial hierarchy, less command-and-control decision-making, less stage gate process and less proprietary ownership of ideas. These networked [smart] systems will be self-organized by manufacturers, partners and customers who are motivated to explore and develop ideas they care deeply about. Collaborative innovation will go beyond ideas about new products and services, extending to ideas about the very manner in which business is conducted. April 2017 IoT Investment Report: So. Many. Platforms getting funding.